Michael Reich is Professor of Economics and Co-Chair of the Center on Wage and Employment Dynamics at the Institute for Research on Labor and Employment (IRLE) of the University of California at Berkeley. He served as Director of IRLE from 2004 to 2015. Reich received his Ph.D. in Economics from Harvard. His research publications cover numerous areas of labor economics and political economy, including the economics of racial inequality, the analysis of labor market segmentation, historical stages in U.S. labor markets and social structures of accumulation, high performance workplaces, union-management cooperation, Japanese labor-management systems, living wages and minimum wages. Reich’s publications include 17 books and monographs, including Racial Inequality: A Political-Economic Analysis, Princeton University Press, 1981; Segmented Work, Divided Workers: The Historical Transformation of Labor in the United States, with D. Gordon and R. Edwards, Cambridge University Press, 1982; Social Structures of Accumulation: The Political Economy of Growth and Crisis, with D. Kotz and T. McDonough, eds. Cambridge University Press, 1994; Work and Pay in the United States and Japan, with C. Brown, Y. Nakata and L. Ulman. Oxford University Press, 1997; Labor Market Segmentation and Labor Mobility, 2009, Labor in the Era of Globalization, edited with C. Brown and B. Eichengreen, Cambridge University Press, 2010, Contemporary Capitalism and Its Crises, edited with T. McDonough and D. Kotz, Cambridge University Press, 2010; When Mandates Work: Raising Labor Standards at the Local Level, with K. Jacobs and M.Dietz, University of California Press, 2014. 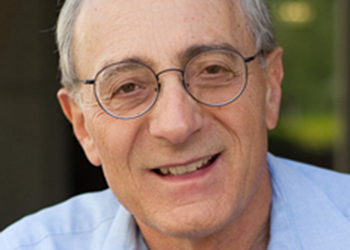 Reich has also written over 130 papers, including “Minimum Wages Across State Borders” with A. Dube and W. Lester (Review of Economics and Statistics, 2010); “Do Minimum Wages Really Reduce Teen Employment?” with S. Allegretto and A. Dube (Industrial Relations, 2011); “High Unemployment after the Great Recession: Why? What Can We Do?” (Estudios de Economia Aplicada, 2012); “Credible Research Designs for Minimum Wage Studies” with S. Allegretto, A. Dube, and B. Zipperer (IRLE Working Paper 148-13, September 2013); “The Effects of Minimum Wages on Food Stamp Enrollments and Expenditures” with R. West (Industrial Relations, October 2015); and “Wage Shocks, Employment Flows, and Labor Market Frictions,” with A. Dube and W. Lester (Journal of Labor Economics, forthcoming 2016).